Pest Preview – Where did those holes in my carpet come from? Carpet Moth and Clothes Moths will require professional attention. What seem like small infestations can actually be extremely large due to the moths preference of utilising hidden areas to enable successful development of its four life cycle stages. Moths are one of the more interesting pest species as a result of their metamorphosis when the eggs hatch into active larvae ( caterpillars ) then in most cases in silken cocoons they pupate ( basically tissue reverts to liquid in the transformation to the adult). TP Pest Services offer free site surveys on all residential and commercial properties. We are Borough of Poole Trading Standards Approved demonstrating our clear commitment to customer satisfaction with Industry leading training and Technicians that really care about providing a quality service. 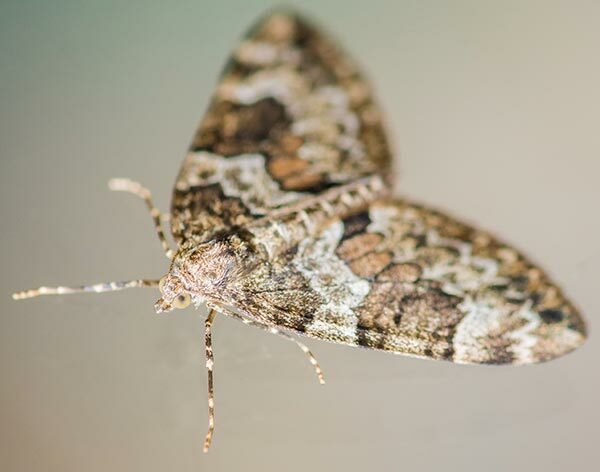 We will advise on the best treatment following the survey which in the case of moths can include a residual spray to the carpeted areas followed by fumigation. Moth infestations need a planned approach. The Moth infestation can be dented with vigorous hoovering (empty the bag immediately), the treatment of carpeted areas with residual and growth regulator applications to eradicate the Moths at all lifecycle stages. It is crucial that an IGR ( insect growth regulator ) be used and this is what is lacking in most over the counter publicly available treatments. We use the industry’s two leading chemicals which provide an encapsulated residual spray lasting upto three months within carpeted areas and also fumigation services where required. The Common Clothes Moth – Tineola bisselliella, the Case Bearing Clothes Moth – Tinaea pellionella, the White Shouldered House Moth – Endrosis sarcitrella, the Brown Tail Moth – Euproctis chrysorrhoea, The Warehouse Moth – Ephestia elutella. There are other moth species but those above are the most common moth we are asked to deal with here in Dorset and the surrounding areas. If you have a birds nest in the eves of your house it may be possible the Brown House Moth will be visiting your kitchen, larder, bedrooms and outbuildings. In commercial food premises and farming the most serious pest is the Warehouse Moth and White Shouldered House Moth as its faecal matter and silk production causes serious contamination. In Dorset we have an abundance of the Brown Tail Moth which is more specific to the South Coast of England commonly found in orchards. It is the furry caterpillar stage of this Moth we see so abundantly on bushes. The hairs of this caterpillar easily detatch and this can cause severe irritation to humans. Treating any Moth infestation requires a planned approach to eradication at all of the lifecycle stages. Egg – Larva – Pupae – Adult. Techniques will include fogging, residual applications and heat treatments of clothing to completely remove this pest. TP Pest Control Services offer a same day reactive service to all the residents throughout Dorset and the surrounding areas. Borough of Poole Trading Standards Approved the team are very proud of our reputation and are smartly dressed and courteous. All Technicians hold industry leading Qualifications with yearly updates on the latest available training and newly introduced Insecticides and Rodenticides. Understanding the Characteristics, Biology and Lifecycle of Pests and Vermin is what allows TP Pest Control Technicians to deliver a Professional Service. 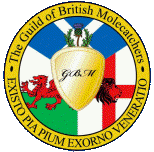 All TP Pest Control Technicians hold the RSPH (Royal Society for Public Health) Level 2 Certificate and have undergone specialist training with the BPCA (British Pest Control Association). We are also members of the NPTA (National Pest Technicians Association) making us the preferred choice for all Professional Pest Control in Dorset. I've never experienced such helpful, friendly and speedy service. Would 100% recommend Terry and his company. Thanks so much! I didn't think my carpet moths would be able to have got rid of but they are gone. So pleased! A big thank you! Terry (and Max) were excellent. Very knowledge, very friendly, he turned up when he said he was going to and solved our problem. We were very pleased with his service and wouldn't hesitate to recommend his company to anyone. After mice / rats chewed through wiring in loft of our 1600 Cottage, Terry (and Max) came to the rescue. Did a thorough survey. Laid traps. Then did a complete clean of loft to remove droppings etc after re-wiring and before loft was re-boarded. Would definitely recommend. Terry responded to my request for a visit extremely promptly. His manner was very courteous and reassuring. He was very efficient with his assessment of the mice problem which had affected my loft-he even destroyed a wasps nest that he spotted for no extra charge. His after service is particularly reassuring with 3 visits in total and good advice and remedies for any future possible invasions. TP Pest Control Services Dorset shared a post. When you hear some scrabbling noises at work..
We offer FREE site inspections on all premises so that we can provide a tailored pest control service specific to the needs of our client. Get in touch with TP Pest Control Services now for great advice and a competitive quote. A professional pest technician is available 24/7 allowing us to respond quickly to any emergency that may arise.